After 30 years of practical use proved cast basalt lined steel pipe is a reliable and effective combination of wear—resistant materials. Be used in a variety of transportation of corrosive materials in working condition. 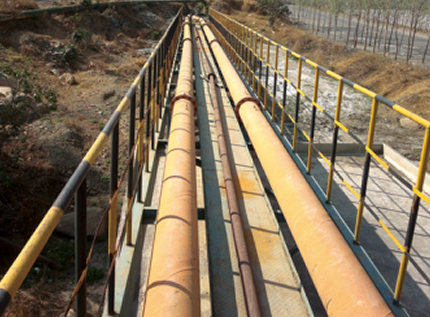 Cast basalt lined steel pipe is consist of steel pipe, cast basalt pipe and the concreteness of cement mortar. The excellent performance of cast basalt lined steel pipe is that it sets tenacity of steel pipe, abrasive resistance of cast basalt pipe, concreteness of cement mortar in one. This greatly improves the products adaptive capacity in complicated operation conditions. At the same time. cement mortar is selected as the filling material and this can make the inside surface of steel pipe in alkali mediums. 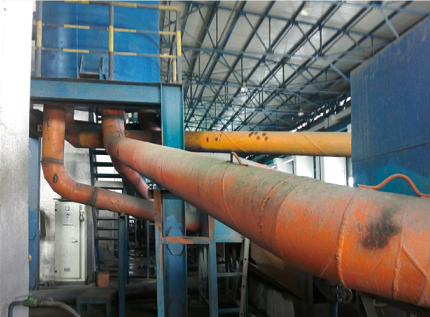 So the surface of steel pipe generates purifying films. These films can prevent being rusted. 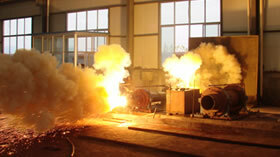 The parameters of the outside steel pipe will be decided according to the working pressure of the system. 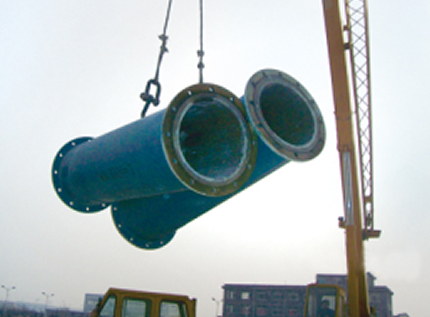 The connection of the pipes and fitting will be of flange connections, easy—flexible joint connection or by welding. Flange connection is one kind of common pipeline installation connections. 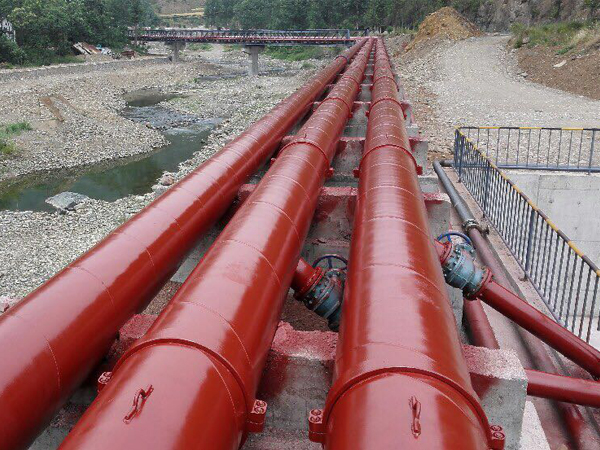 By two pieces of flanges,pipeline,valve,equipments are connected and it forms a tight piping system. When pipeline pressure is larger, flange connection is priority secection. Flanges have lots of differents sizes. Flange size is determined according to pipeline normal diameter and pipeline operation pressure. all kinds of chutes, funnels, storage bin andso on.